A warm welcome to CDx! They’re doing some neat stuff with credit swaps on layer 2. For example, you could insure yourself against an exchange going down or a smart contract being hacked. On a side note, came across this great piece which discusses the state of crypto being sound money, web3 and open finance. I think there’s a misunderstanding that only one can win (sound money vs open finance), instead each will take their own time to win in their respective niches. Ethereum has a leg up in open finance, while not many things come close to being sound money like Bitcoin. Social origins matter just as much as technical specifications too. Anyways, that’s a wrap for this week. Catch you all next week. CDx has launched our explainer video! Check it out to understand how we’re building a new tokenized asset class. Deployed our reference relayer to testnet and completed relayer swap trading functionality. Since the launch of Spaces, we’ve rolled out five new Spaces for OTC token trading. If you are a team who is looking to launch a customizable OTC trading environment, please contact us at partners@airswap.io. If you’re looking to make OTC trades, you can make trades within our Spaces environment at AirSwap.io. We have a few positions open on the engineering team from junior developer to mobile application developers. If you’re interested in what our team is working on at AirSwap, please submit an application in the “Careers” section here. 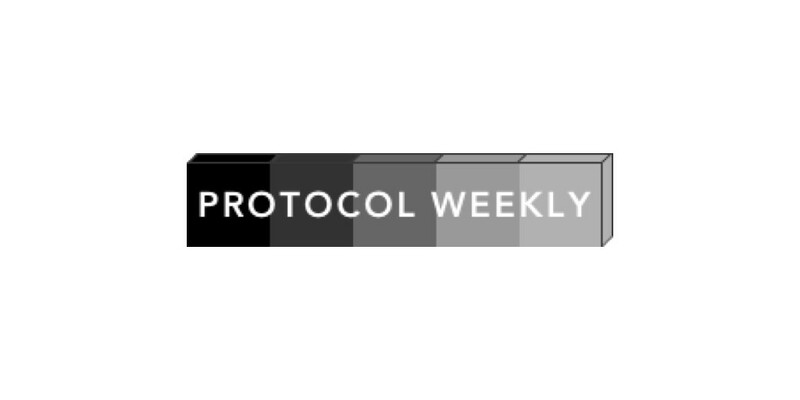 One of our core team engineers, Tyler Yasaka, published some concerns about existing identity standards along with a proposal for separating the identity proxy from the management functions. Fabian Vogelsteller responded to his Medium post. We recently migrated our codebase to a monorepo and could not be happier with the decision. Tom Linton joined our core team after contributing extensively to our codebase. We’re always looking for passionate contributors. Meeting you at Devcon. Reach out and let’s plan to connect in Prague next week. CoinGecko, a major cryptocurrency data aggregator site with millions of users worldwide, has integrated KyberWidget, to allow visitors to exchange ERC20 tokens directly on the site. Watch how to use the KyberWidget on CoinGecko here. Kyber and CoinGecko are giving out some cool SWAG to our awesome communities, to both celebrate the KyberWidget integration and as thanks for being supportive! Check out this reddit post to find out how you can win. WEB and CDCC have been added onto LoopringDEX on Oct 19, 2018. Four projects built on Loopring at ETHSanFrancisco. Loopring BD Matthew Finestone will attend Devcon4. 8x will be attending the #DeFi Summit — Prague, if you’re going to be around, message us on Telegram and say hi! Improved the UX on our front-end dapps to include loading indicators and fixed miscellaneous bugs. Good progress with pushing out our developer toolset (JS library and payment gateway for merchants). Charitable Autonomous Organization (CAO) built using 8x Protocol and Set has won third place in Set Protocol’s Hackathon at #ETHSanFrancisco. CDx, AirSwap, Dharma Protocol, Origin Protocol, Kyber Network, Loopring, 8x Protocol. Set Protocol, Abacus Protocol, Quantstamp, Matic Network, Market Protocol, Codex Protocol, The Graph, Connext Network, Liquidity Network, Enigma, Civic.